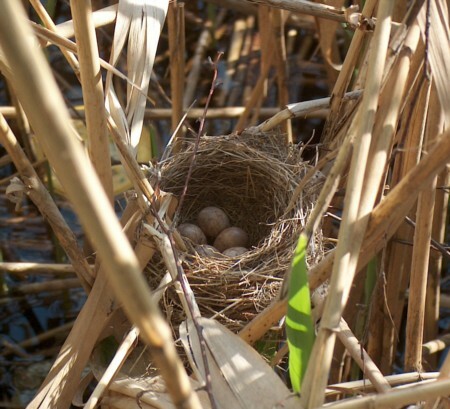 A nest is a place of refuge to hold an animal's eggs and/or provide a place to live or raise offspring. Nests are built primarily by birds, but also by other animals. They are usually made of some organic material such as twigs, grass, and leaves. Generally each species has a distinctive style of nest.